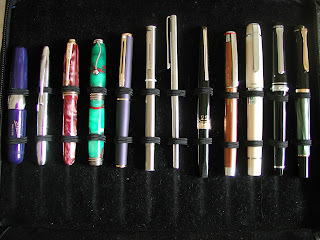 Nineteen members showed up last Thursday to see & learn about some lovely small fountain pens, our theme for the month of April. 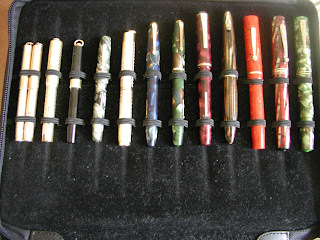 We saw some amazing fountain pens, from the tiny Peter Pan fountain pens made by Salz & the all-metal ringtops made by Wahl in the 1920s, to their modern counterparts, such as the Filcao "Kika", Waterman Lady Patricia & Delta Capri. Many thanks to all who attended, and to Richard for the group photos below! 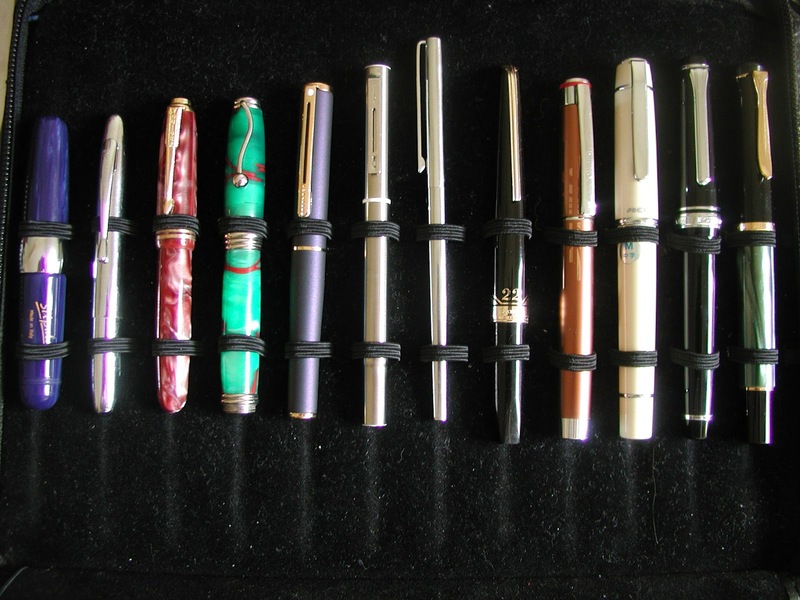 Our next meeting is scheduled for Thursday May 17th at Perks pen store (our usual venue on Cambie Street & usual start time--6:30pm) and our theme will be "Pens From Exotic Places". Hope you can make it! 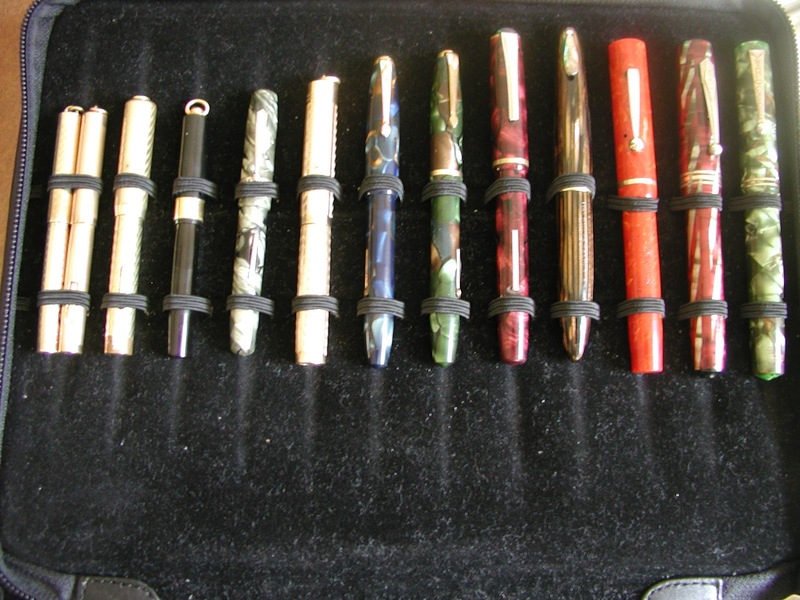 In the photo above (Left to Right): Stipula Passaporto Limited Edition made for the FPN (Fountain Pen Network) cartridge/eyedropper-filler, Jinhao "Pocket Rocket", small Guider pen (made in India), Jean-Pierre Lepine Mini Indigo, Sheaffer Agio Compact (in a prototype colour, I was told by the friend who gave it to me), Pilot Birdie, Sailor Chalana, Platinum '22', Rotring Esprit (Special Edition), Pilot Prera, Sailor Sapporo, Pelikan M200.